August is National Wellness Month, when Great Care encourages self-care with an emphasis on a healthy lifestyle. For caregivers, these are important steps to help manage stress and boost happiness. 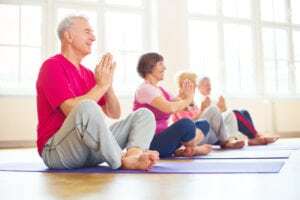 “Whether you challenge yourself to a new yoga pose or try a different spa treatment, make a small change and impact your health in positive ways,” says the online resource wellnessmonth.com, which provides a calendar of daily challenges for small ways to be well each day, leading to a lifetime of wellness. Live Love Spa founded National Wellness Month in 2018 to foster community, connection, and commerce in the wellness industry. ”National Wellness Month inspires consumers to focus on wellness and provides a platform for wellness companies to highlight their services and benefits,” says Live Love Spa. The National Center on Caregiving agrees that self-care and wellness are integral practices to help caregivers best care for their loved ones. Stress management is key. “Recognize warning signs early. These might include irritability, sleep problems, and forgetfulness. Know your own warning signs, and act to make changes. Donʼt wait until you are overwhelmed. Others ways to self-care and manage stress include a spa day with massage, yoga, facials and soaking in therapy baths. Also, going to the library for quiet reading or getting out in the peacefulness of nature.